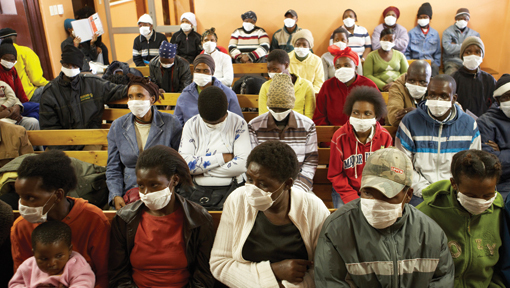 Tuberculosis (TB) remains one of the world’s deadliest communicable diseases. Of the estimated 10.4 million people who developed TB in 2016, more than half (62 per cent) were in the South-East Asia and Western Pacific Regions. The African and South-East Asia Region Regions account for about four out of five HIV-positive TB cases and TB deaths among people who were HIV-positive. While the number of new cases with multidrug-resistant TB (MDR-TB) remains stable (around 2 percent), the much higher levels of resistance and poor treatment outcomes still needs to be addressed. In 2016, there were 490,000 cases of MDR-TB with 6.2 per cent of those cases being XDR-TB. An infectious disease caused by the bacteria, Mycobacterium tuberculosis, it commonly affects the respiratory system. This can result in a range of symptoms such as coughing, chest pain, weight loss and weakness, fever and night sweats. The bacteria is transmitted from person to person via droplets from the throat and lungs of people with the active respiratory disease. Burnet is actively involved in TB research with our unique ability to address health system management and support community interventions, through to leading molecular epidemiology studies and innovation in diagnostics for tuberculosis. Staff involved in Burnet’s TB Working Group include Associate Professor David Anderson (Head of Burnet Institute’s TB program), Dr Jack Richards, Dr Suman Majumdar, Professor Suzanne Crowe AM, Professor Margaret Hellard, Dr James Trauer, and Honorary Principal Research Fellow from the TB-CRE, Associate Professor Steve Graham. Image appears in WHO’s Global Tuberculosis Report 2017. Understanding how these drug resistant strains spread within certain populations in Africa and Papua New Guinea. Looking at how we can help build the most appropriate health systems to deal with this emerging problem. 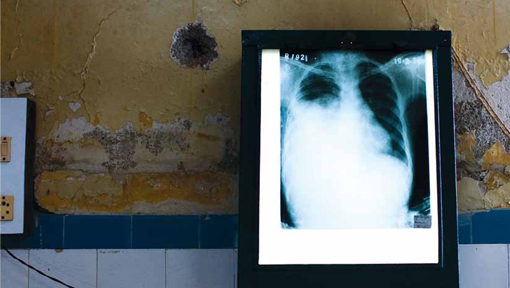 While tuberculosis is treatable with a six-month course of antibiotics, in some countries the bacteria is becoming increasingly drug-resistant and is presenting major concerns among health workers. Multidrug-resistant tuberculosis (MDR-TB) is a form of TB caused by bacteria that do not respond to the two most powerful, first-line, anti-TB drugs. Infectious diseases physician and Burnet Institute Associate, Dr Suman Majumdar said, despite recent promising developments, the current available tools for TB diagnosis, treatment and prevention are not adequate to reach the goal of universal access to TB care and zero TB deaths. “In the case of MDR-TB, patients living with this disease can no longer be ignored as untreated; this disease can kill and spread to others. Cure is possible, but current treatment involves an excruciating two-year ordeal of swallowing 20 pills a day and receiving a painful injection each day for more than eight months – the side-effects are terrible. Burnet’s Dr Suman Majumdar is part of this initiative which aims to create closer connections between the broad range of policy makers, clinicians, patients, scientists and public health workers working for tuberculosis control and elimination in our region. For more information visit the ATF webpage. 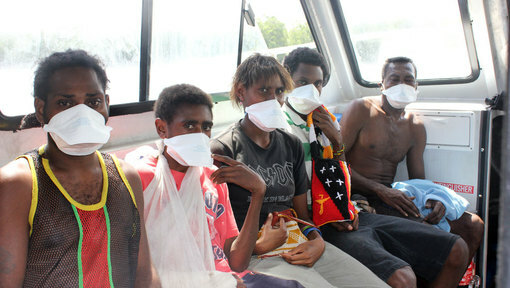 Construction of a mathematical model to simulate the TB epidemic in Western Province of PNG, which will be used to inform programmatic responses. TB-MAC is an international consortium of modellers, coordinated through the London School of Hygiene and Tropical Medicine. Constructing a model for responses to TB in high burden countries of the Asia-Pacific. To investigate the molecular and epidemiology factors associated with the ongoing TB epidemic in Kiribati and identify factors to reduce future burden. Give to the STOP TB Ending More Lives campaign.